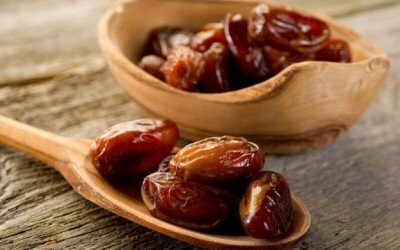 What a wonderful fruit it is!,i love eating dates with passion . ROFL Where did the nutrition go? Where did the info for this article come from? I wish I could try your recipe but asas by body is stupid and cannot digest coconut. I love eating it but it gives me horrible stomach pains in addition to the same symptoms as someone who is lactose intolerant. Thanks for sharing this article! This content is very useful and helpful for health problems. allah is Not God name,,allah is a demon,a moon”god” hence the crescent moon symbol,,chosen by muhammy to inflict his insanity on the world. Allah is the Arabic dictionary meaning of “The God”. All the Christians of Arab pronounce “Allah” when they speak Arabic and God when they speak English. I don’t think that Moses or Jesus or Abraham called God as “God” because they didn’t speak English at that time. No, the Jewish people think of God as Supreme and will not utter his name nor write it in it’s entirety. Jesus is God’s only begotten son, so He always called God Father. Ahh yea but be careful of anything from China as it is incredibly polluted. Stick to dates from Australia, this is in the Southern hemisphere away from Fukushima. who called her from below? the baby? The Power of Christ Compels You… The Power of Christ Compels You…. Be gone evil spirit! Be GONE!!! Probably Allah. And we know who is the god of below, Satan himself. He is not the GOD of the Christians or Jews. He is not the creator of all things. GOD, the FATHER of JESUS CHRIST is and would have called her from above, not below. thanks for the information. its great! what is that supposed to mean dumb? Might want to correct and delete one of the words every in below # 5 points on page. Great article by the way. which are PACKED with medicinal vitamins and minerals and have been used in Chinese Medicine for thousands of years. great news….thanks for reporting on this…I stuff dates with peanut butter, stick an almond in the butter bit, then roll them in carob powder. makes a lovely treat, but don’ eat too many or one could gain weight! I use dates to make chocolate treats at home (try mixing some dates, cacao, almonds, shredded coconut and some water in the food processor, and form the mixture into the balls. Tastes delicious!) Good to know about the benefits of dates.